Both countries are thousands of kilometers away from Australia, but the interest from afar in silver coins from “Down Under” is huge . 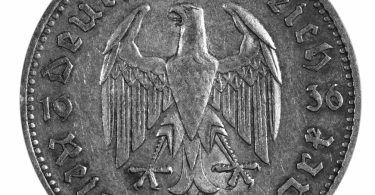 The Perth Mint has announced in an interview that about 80 percent of coins and bars of the Perth Mint are sold to the Germany and the USA. Neil Vance, Group Manager Minted Products, according to a Bloomberg report has described especially Germany and the United States as the largest customers of the Australian Mint, , and noted significantly higher sales in both markets. The Perth Mint apparently because of low prices for precious metals at the end 2016 had a particularly good start in the new fiscal year. Especially popular are the new motifs of the “Lunar” series, which are dedicated to the rooster in 2017. Especially in the US, there has been a real Australia boom on the bullion market and now also an increased demand from China can be observed. At the bottom line, the Perth Mint announced sensational figures: From June 2015 to 2016 Perth Mint has tripled its previous year’s sales – and the strategists in Perth assume that there is significant potential for improvement.